For wealthy Chinese, Manhattan real estate has long served as a secure place to stash their cash, with these investors gobbling up high-end properties. In fact, “foreign direct investment in U.S. real estate rose to $104 billion in a 12-month period ending March 2015, a 10.4 percent rise over the prior year,” according to The Real Deal. 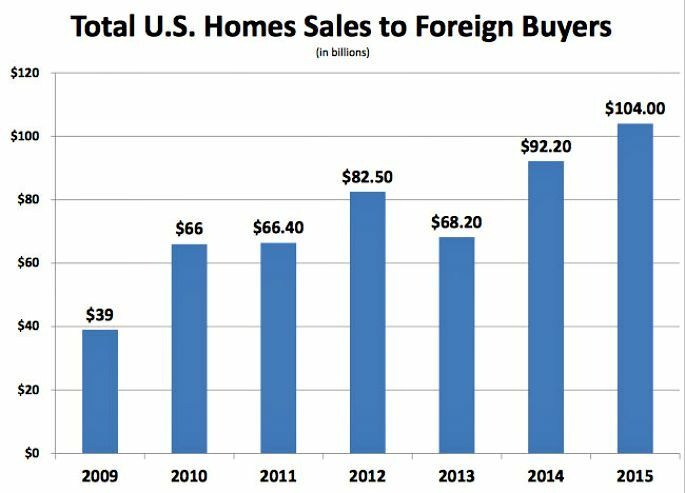 Of these foreign buyers nationwide, the Chinese make up 16 percent. And accompanying this rise, at least in NYC, is the rise of the all-cash buy. To show just how prominent this trend has become, RealtyTrac released data that shows in the first half of the year, 75 percent of Manhattan’s cash buyers had Asian surnames. RealtyTrac looked at sales deed data, which means their figures don’t account for those foreign buyers who purchased property under an anonymous LLC. 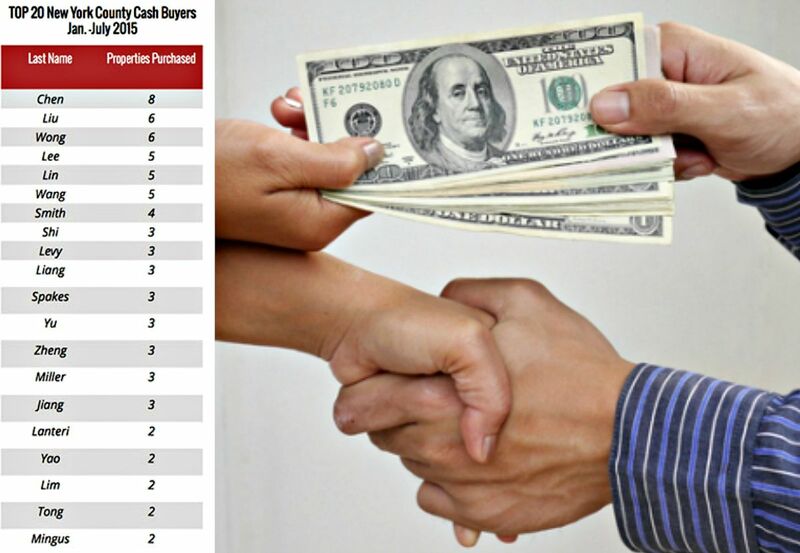 They then took the top 20 cash buyers in the first six months of the year and found that 15 of them “were either overseas Asian buyers or Asian-heritage local buyers.” The top surname, with eight buys, is Chen, followed by Lui and Wong with six each. The trend might see a slowdown in the near future, though, as just last month the Chinese government devalued its currency by 1.9 percent against the dollar.